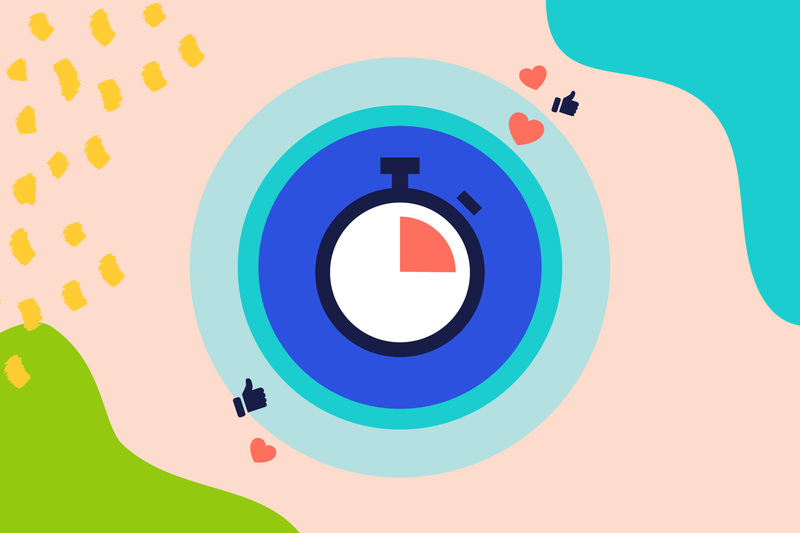 As you may have heard, or seen in your own Facebook Insights, Facebook has recently shared that "videos get shown organically to more people when they’re at least 3 minutes long." What does this mean for your video strategy? We’ll break it down. Organic videos are videos posted to your Facebook page without any advertising spend. Over the years, you’ve likely heard all sorts of stats and formulas when it comes to how long your Facebook videos should be. Many sources say keep it short—30 seconds is ideal. Others say go long to maximize watch time. You may have heard that video length doesn’t matter and it’s all about creating content that sparks conversation. So what’s a video creator to do? Should all your organic videos be 3 minutes long? In some cases, a longer video may be the right route for you to take. Three or more minutes may be ideal if you’re a publisher looking to tell longer stories in video form, or to break down complicated concepts. If you are a publisher, in the business of viral content-creation, you can make long videos by adding blocks to Animoto and choosing a song that’s over 3 minutes. One of our longer templates, like our Expert How To or Travel Story may be a good place to start. However, for non-publishers we recommend approaching each new video you create with your message in mind, rather than a duration. For instance, a tutorial video about how to use your product could take five minutes. On the other hand, a video letting your followers know you’ll be hosting an event probably doesn’t need more than 30 seconds. Your video should be as long as it needs to be in order to get your information across. It’s important to remember that the length of your video isn’t the only thing that Facebook’s algorithm is taking into account. They won’t show a video to more people just because it’s at least 3 minutes. The video also has to hold viewers’ interest and spark engagement and conversations. If you try to tack on extra time to get your video to that three-minute mark, it’ll likely result in a video that’s less engaging and doesn’t hold attention. Save the best for first. Put your best imagery up front to capture attention and entice viewers to watch as they scroll through their news feeds. Make every second count. Every second that doesn’t count is an opportunity for viewers to lose interest. Remember: Include just the information you need to get your point across. Optimize for mobile. 88% of Facebook users access the social network from a mobile device. Preview your videos on your phone to ensure text is legible and imagery works on a small screen. Optimize for sound off. 85% of viewers on Facebook are watching with the sound off. Use text to make your story clear or, for longer videos with people talking on camera, try uploading captions along with your video. For feedback on the length of your next video—or to learn more about all things social video— head over to the Animoto Social Video Marketing Community on Facebook and join the conversation.